One of the most iconic cities in the world, when you visit London it’s hard not to get overwhelmed by the amount of things to do there and how much it can all cost. But fear not, there’s a heap of free things to do in this great city which, after living there for over 3 years, I certainly know a thing or 2 about. 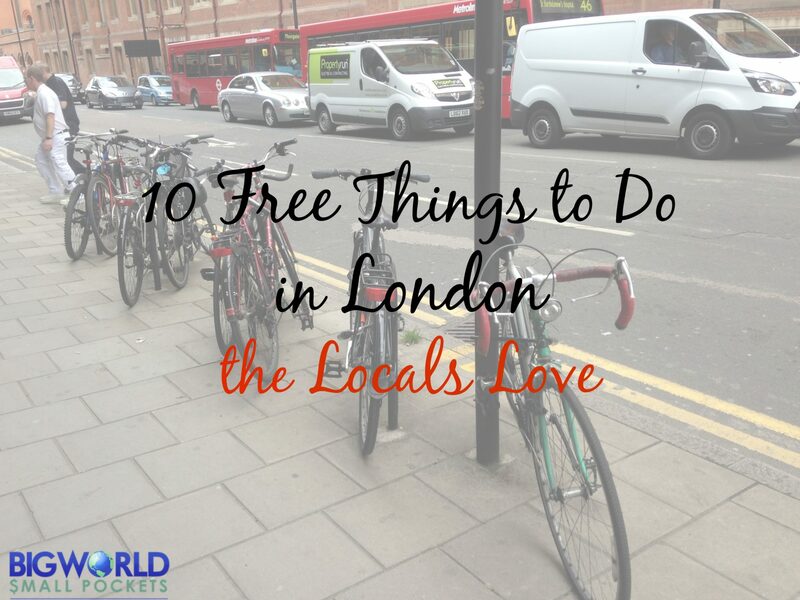 With some popular, as well as some more unusual attractions, on the list, here are 10 free things to do in London that the locals love. This is undoubtedly my favourite gallery in the capital and best of all, it’s free. 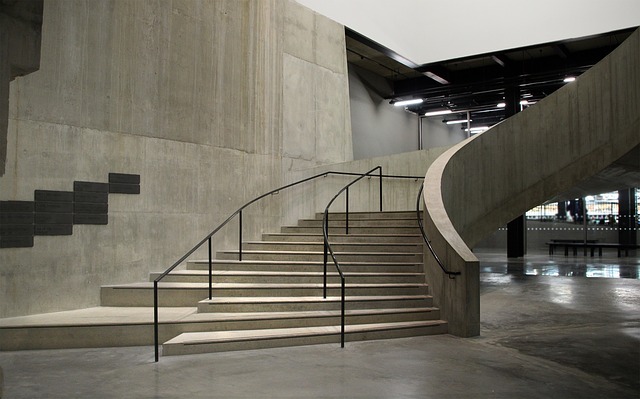 Showcasing contemporary exhibits from some of the best artists around the world, the Tate Modern’s collections are an eclectic delight that never fail to inspire and intrigue. Located on the Southbank, the area around the Tate Modern is beautiful with much to explore too. From the London Eye, to the National Theatre, the Globe Theatre (great theatre is one of the main reasons why I miss living in London!) and some great pubs and restaurants, why not enjoy a drink here while you gaze at the iconic views of the River Thames, Big Ben and the Houses of Parliament. I always used to meet friends here for dinner, so I know Southbank and the Tate Modern are a favourite haunt for locals and tourists alike. 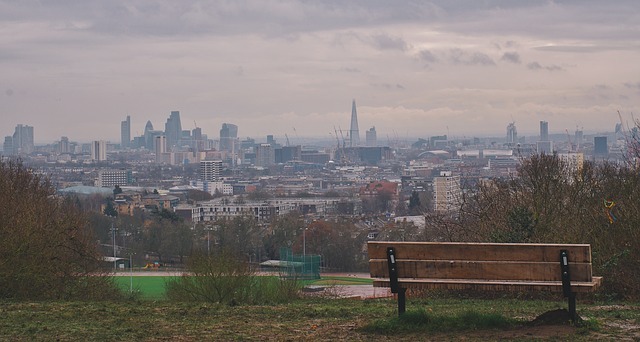 Parliament Hill is one of the tallest viewpoints within London and climbing up here to see the city’s skyline is certainly one of the best free things to do in London that the locals love too. Located within the wild and wonderful Hampstead Heath in north London, take a ramble on the heath first and then enjoy picnic up on the hill while you enjoy a stellar sunset view. You can even take a dip in the Hampstead Heath Bathing Ponds here too for as little as £2 – it’s a massive hit with everyone in the summer. 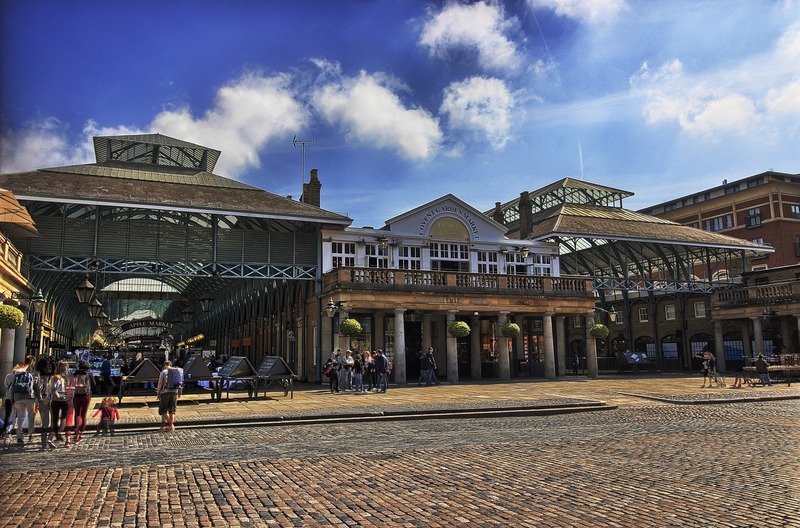 Behind the world famous Strand lies the gorgeous square of Covent Garden. With some plenty of atmosphere this is a lovely little place to have lunch, peruse the market or marvel at the array of street performers that dot the area. Kids especially will love the incredible living statues and entertainers who bring a real sense of occasion to this historic marketplace. Covent Garden is also great for shopping. Avoid over-crowded Oxford Street and head to Covent Garden instead. The area around has a lovely mix of high street as well as independent retailers. Stay: Premier Inn and Travelodge offer excellent budget hotel accommodation within London and regularly run special deals. Check the links for the best deals. Otherwise, when it comes to hostel accommodation, you can’t go wrong with the amazingly named Barmy Badger Backpackers! Transport: Getting to London from elsewhere in UK is cheapest via the Megabus. Otherwise, budget airlines EasyJet and Ryanair offer cheap European air connections. Look for flights to cheap London airports such as Luton or Stanstead and then use public transport to get to the city centre. Eat: Buy cheap snacks at supermarkets such as Sainburys for lunch or peruse the local markets at places like Brixton, Lewisham or Dalston. For dinner head to Brick Lane for delicious, cheap Indian food or to Kingsland Road for well-priced and excellent Vietnamese fare. 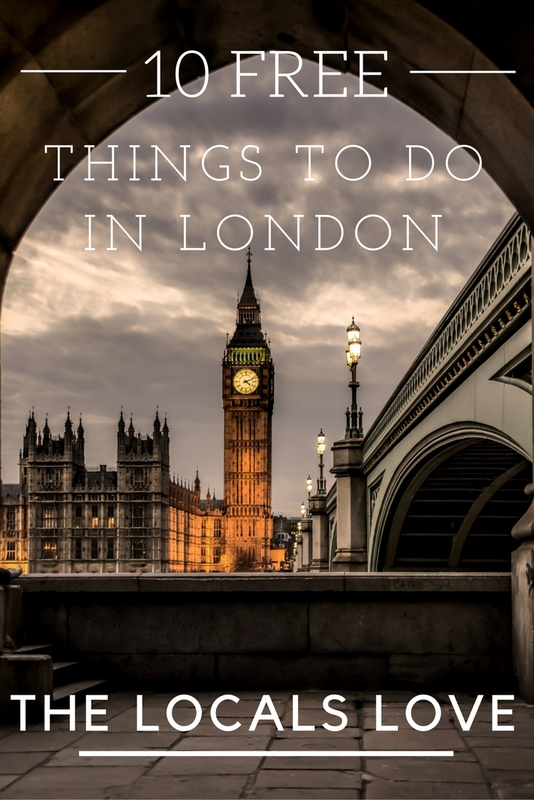 Attractions: If you want to bucket list a lot of stuff in London in a short amount of time, then a great money-saving option is to invest in a London Pass. This offers discounted entry at stacks of attractions round the city as well as fast track entry! Over in East London, Victoria Park is a favourite green space of mine. With plenty of pubs and cafes to enjoy on its outskirts, it’s a great place to relax. If you are feeling energetic then I also highly recommend strolling along Regents Canal, which runs next to Victoria Park and is part of a huge green corridor stretching through this area of London. At the weekend, Victoria Park is packed with locals – from young families to trendy hipsters – and there is a great atmosphere to enjoy, as well as some prime picnic activity and many free community events. 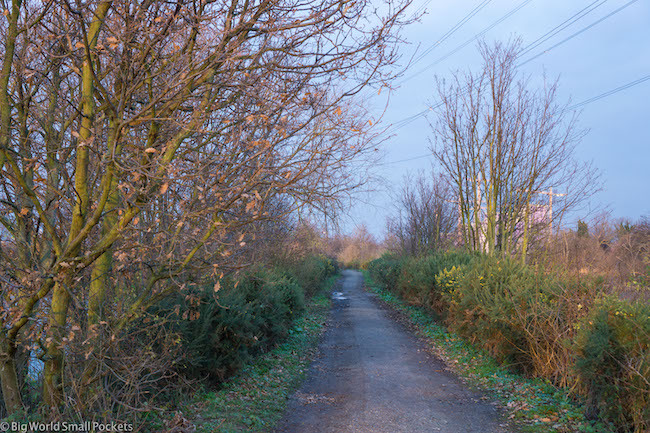 Other great local outdoor spaces in London include Finsbury Park and the Walthomstow Wetlands – all free and good spots for a ramble. Ok, so maybe this isn’t a local favourite, but it’s pretty fun nonetheless. 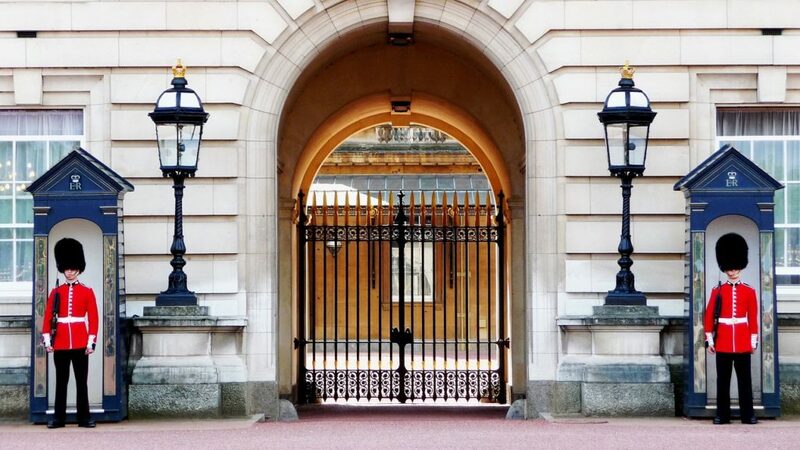 Most London visitors love to experience a bit of the pomp and ceremony this city is famous for, so why not get your fix right outside the Buckingham Palace. Every day at 11.30am in the summer and every other day in the winter, you see the Queen’s Guard changing inside the gates of this royal residence. Certainly one of the best free things to do in London, enjoying this historic spectacle is great for any visitor. This beautiful market is one of my favourites in the capital for its sights, smells and sounds. Held every weekend in East London, it’s a real local affair and crammed with all sorts of floral gifts, delights, treats and surprises. Wandering around it, soaking up the atmosphere with a lovely coffee in hand is the best way to start a Sunday when you visit London. Just prepare yourself for the crowds! Afterwards, pop to nearby Brick Lane and enjoy some more great food and boutique shops locals here love. There’s a real buzz and sense of community to this whole area, which makes exploring it definitely one of the best free things to do in London. And if you are over in east London with more time on your hands, then check out this great list of fun things to do in Shoreditch – it’s one of my fav parts of the city. I used to live fairly near Greenwich, albeit in a much less salubrious area, and always enjoyed visiting this Royal Park. A special part of this place is the observatory that sits at the top of the hill. Here you can learn a fascinating amount of information about how humans first came to use a globally standardised measurement of time and enjoy placing one foot either side of the GMT meridian line that dictates how we tell the time across the globe today. 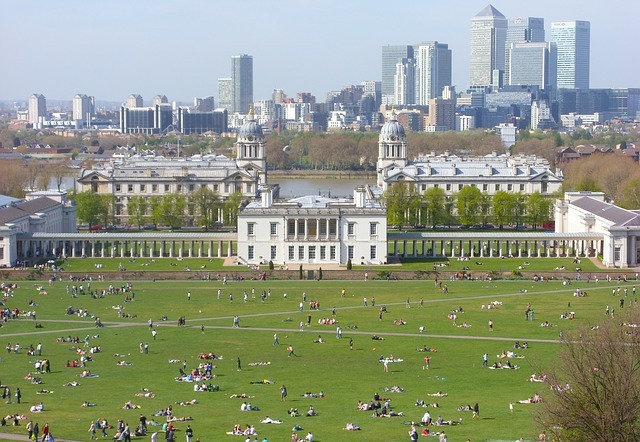 Greenwich also boasts the National Maritime Museum, which is free to enter, as well as a beautiful marketplace that comes to life at the weekend. 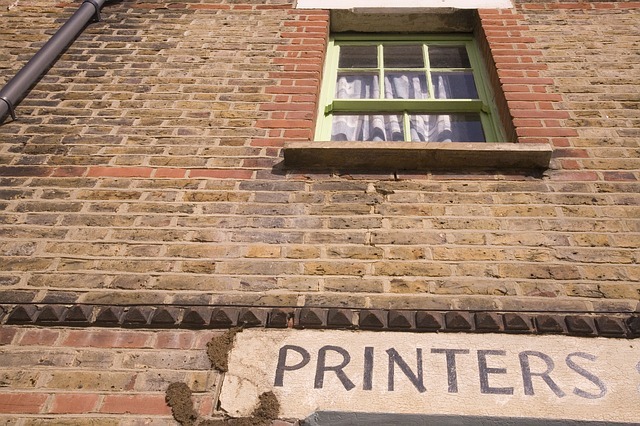 Spending a morning in this gorgeous south London village along the river is well worth it. 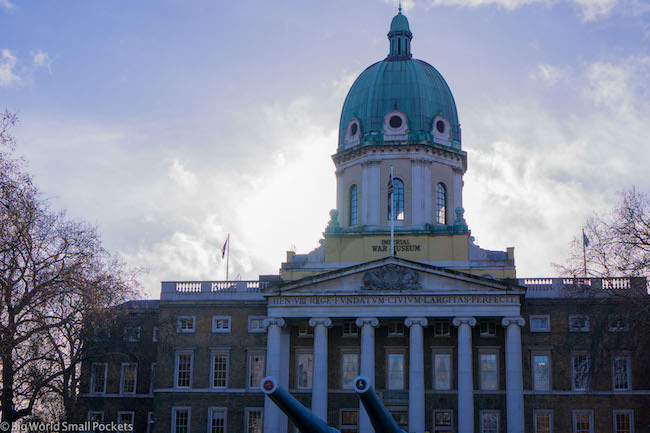 I’ll let you in on a little local secret here: out of all the free museums and exhibitions to enjoy in London, the Imperial War Museum is by the far the best! I know, it doesn’t sound too exciting, but this fantastic museum wonderfully charts peoples’ stories from World War I through to present day conflicts in very interesting, engaging, interactive and captaining ways. 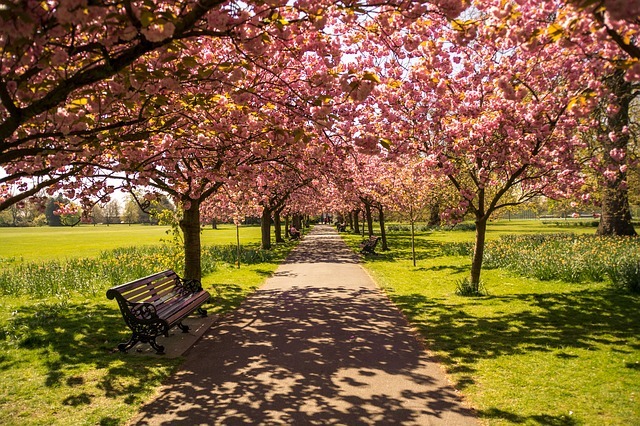 Located down in South London in the borough of Lambeth, this diamond of a destination is well worth spending a whole afternoon at and can be easily enjoyed by the whole family. Located in the northeastern part of Hyde Park, near Marble Arch, this historic corner has longed been used as a debating post, a symbol of free speech and democracy. Nowadays it takes on a rather more colorful persona, but is always worth checking out on a Sunday when some great characters take it upon themselves to entertain the assembled crowds. After you’ve had your fill of politics, you can then wander done to Kensington Gardens, in the southwestern part of Hyde Park, and check out the annual summer architectural commission at the Serpentine Pavilion. This great exhibition is free and every year showcases an original and experimental temporary structure designed by one of the world leading architects. As one of the most visited architecture exhibitions in the world it’s definitely one of the best free things to do in London and is loved by many locals here. 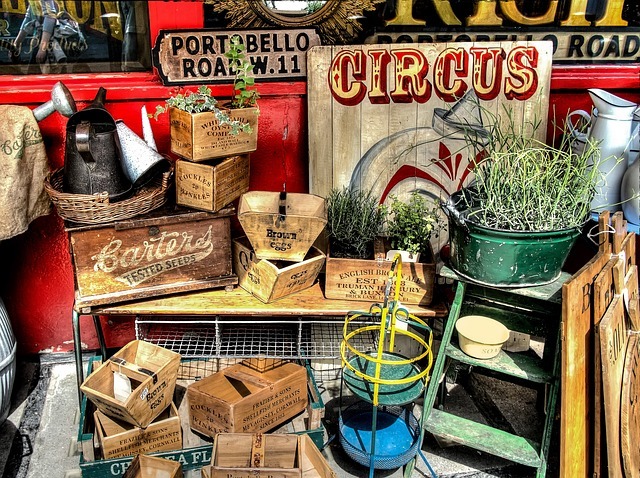 This crazy, colourful market is meant to be the largest antique market in the world and while everything there might not be as genuine as it claims to be, it’s great fun sorting through much of the eclectic range on offer to find yourself a bargain. Running every day of the week, the main markets at Portobello happen at the weekend. As well as many antique and bric-a-brac stalls, you can also shop here for fruit and veg, vintage clothes, books and second-hand goods. If you’re into markets, then other great ones in London include Camden Market in North London and Borough Market near London Bridge – exploring them is certainly one of the best free things to do in London that locals here love. 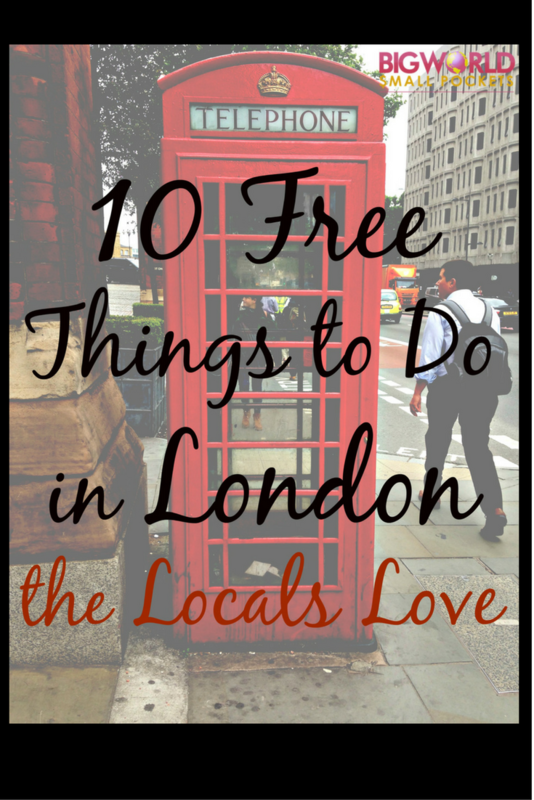 So those are 10 free things to do in London that locals love. Have you lived in London? What was your favourite free thing to enjoy there? London is one of our favorite cities in the world! We’ve been there a couple of times but can’t get enough of it 🙂 Thanks for these great tips, now we know where to go on our next visit! I absolutely love the imperial war museum. I feel like every time I go there I learn something new. Such a great museum and an incredible building too. Glad you agree Sophie – it was such a surprise find for me and a total gem indeed! My favourite thing to do for free in London is the National History Museum. If you are in London definiately go and check it out! So true, I love this museum too, especially the dinosaur section! We went to London in the 80s. I just loved this great city and we enjoyed so many sights. Pavement artists, a group roasting chestnuts, somebody taking a fox for a walk. I never got to the imperial war museum. I am third generation south africdan but have strong roots in England. I felt I had come back to mother England. Loved the tube station too as there were muscians and a man with his group of dogs looked like a permanent fixture. What about highgate cemetary and all the wonderful hidden parks . No worries Danielle, glad you found the post useful – hope have an awesome time on your trip. The Imperial War Museum is a must! I am currently just outside of London and love having inexpensive things to do as the train trip in is quite expensive. Luckily we found if we buy a travelcard it covers us for all modes of transportation and gives us a lot of 2 for 1 offers on things we simply could not afford. We took advantage of this and bought 2 for 1 on the London Eye and a River cruise so we got to Greenwich and hubs had a glorious time, he’s a sailor so had to take in the Cutty Sark…lol.. Thanks awesome Faith, what a fantastic budget tip, thanks so much for sharing! Greenwich is fabulous and glad you got to experience the London Eye too. The views from up there are the best! I lived in London for two years and had many visitors during that time who all wanted a free tour guide! FYI: All museums in London are FREE; and standing on the timeline in Greenwich or visiting the observatory is NOT free. It is a lovely area though with great views, good pubs, a replica of the Cutty Sark and beautiful green areas right next to the river. There is a river boat/water taxi stop there too which provides a fun and much more scenic way to get there rather than taking the tube!